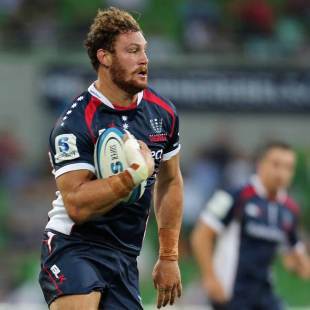 News: Wallabies to dumb it down or simply play smarter? Dumb. Dumb. Dumb. The rudderless Wallabies are certainly no rugby scholars. More like a bunch of dolts. And now their coach is going to "dumb it down" even further, making the game plan simpler. Oh no! This is excruciating. Really, how much more can the Australian rugby supporter endure? After one of the most infuriating Test losses on local soil in recent times, Australian rugby officials must ask themselves many important questions - and somehow find solutions - otherwise the Wallabies simply will not be worth watching at all. 1: Why can't this team score tries? For a country that supposedly made its name on attacking rugby, a tally of just 19 tries in their past 19 Tests is a national embarrassment. That includes four Tests in which Australia failed to score a try. 2: Why can't this country produce tight-head props? And why is probably the best going around in Australia - Benn Robinson - being overlooked? 3: Why is the skill level of the Australian team consistently poor? Why do professional players who spend virtually every waking hour supposedly preparing for the upcoming encounter drop the simplest of passes, often have trouble passing left to right or vice versa, and repeatedly falter under pressure. Then again, having attended Wallabies training sessions for several decades, and having been dismayed that only the small majority know exactly how to properly kick or pass a football, this shouldn't surprise me. There is something wrong with the Australian coaching process when so many footballers with a seriously flawed skill base make it to the top level. It certainly would not happen in rugby league, football or AFL. When Wallabies coaches admit privately that they have to work on a certain Test player's basic skills, then you know the system is bung. 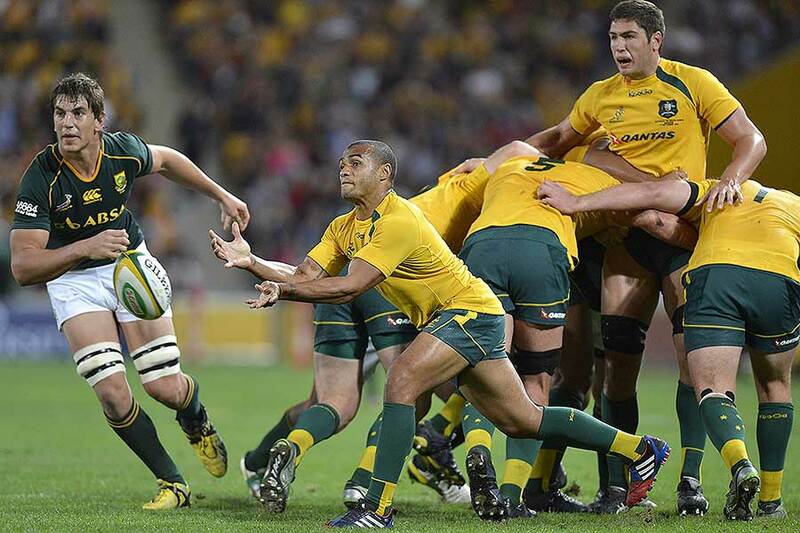 4: What hope are the Wallabies until they produce a game-breaking forward with stature? Watch any recent All Blacks Test, and observe their No.8, Kieran Read. He wins them Test matches. He dominates. In Hamilton on Saturday night, against the Pumas, a majestic around-the-corner pass and a chargedown led to All Blacks tries. He does this week in week out. Admittedly it helps having Richie McCaw by his side, but nonetheless a mighty No.8 is imperative for a dominant international team. The Wallabies have no-one who comes anywhere near Read. And that's why the Wallabies pack is often compared to a half-eaten cream puff. 5: Why can't this team think on its feet? There were plenty of glaring pointers just before half-time that this Australian team is brain-dead. Why opt for a banana kick when going for the line? You just lose 15 metres in distance. Then again, why opt for the lineout with three points on offer through a comfortable penalty goal shot that would have brought the margin back to a converted try? Then Ben Mowen doesn't release the ball at the tackle, and they lose momentum, followed by the scrum disintegrating. And finally Israel Folau wasted all the effect of an exceptional tackle by forgetting that you are not allowed to use your hands in a ruck. Maybe it's time certain Australian players read the law book, because many of the penalties against them are basic indiscretions. 6: Do they actually understand they must use the attacking power they have in Folau? Clearly not. 7: Do they comprehend the importance of retaining possession at the breakdown, as well as responding to pressure? Clearly not. 8: Is the player base in Australian rugby so poor that the Wallabies consistently field players who are not of Test standard? Admittedly Australia have some substantial injuries, especially in the pack, but there were at least three players in the starting XV who are pushing it to be considered Test quality. The British & Irish Lions, the All Blacks and now the Springboks have exposed them big time. But there are not that many obvious solutions sitting on the sidelines. 9: Does Wallabies coach Ewen McKenzie really have to dumb it down? Probably - because anything requiring intelligence is clearly beyond this group. 10: Is there valid reason to be so depressed? Yes. They play Argentina in Perth on Saturday, and the Pumas showed enough against the All Blacks to indicate they could easily beat the Wallabies. They are exactly the type of side that can upset an outfit lacking heart and soul. They are physical; they boast a scrum far superior to Australia's; and their confrontational style can easily destabilise the Wallabies, who often are intimidated and upset by an "in-your-face" opponent. If the Pumas win, Australia will be adrift as bottom in The Rugby Championship ladder. And it doesn't get any more diabolical than that. Ewen and Bill (Pulver), we have a problem.